I first wrote about BC’s Body Armour Control Act on October 24, 2009. At that time, I had little understanding of how quickly bills can move through provincial legislatures. Even by provincial standards, this bill was pushed through with lightning speed, leaving practically no time for public input. By the time I wrote my blog entry, it had already passed 2nd Reading. Two days later, on October 26, 2009, the bill went through Committee, Report, Amendment and passed 3rd Reading – all in a single day! On October 29, 2009 the bill received Royal Assent. A brief backgrounder for those who don’t know, this Act was introduced in an effort to curb gang violence in BC, particularly Vancouver. The idea is that by restricting access to body armour, it will reduce a criminal’s “sense of security” making them less likely to engage in shootouts in our communities. Though there are many faults with this legislation, the biggest one is the complete lack of logic involved. Criminals will always have have access to body armour, and they’re highly unlikely to acquire a permit or register it with police. In effect, the only thing this bill does, is give the Solicitor General 15 minutes of fame, and take away the ability of the public to possess a passive safety device. For more details, see my previous blog post. It is envisioned that Body Armour Control Act (BACA) Regulations and policy will apply to body armour that is ballistic, stab and/or puncture resistant. This will include trauma plates, inserts and other devices that can be added to the vests over a localized area to increase the wearer’s protection against blunt trauma injuries or projectiles fired from a firearm. This may include, but not be limited to garments and items which meet the National Institute of Justice (NIJ) Standard 0101.06 – Standards for Ballistic resistance of Personal Body Armour, types II,IIA, III, IIIA or IV or National Institute of Justice (NIJ) Standard 0115.00 – Stab Resistance of Personal Body Armour, levels 1, 2 or 3. Unless exempt under the BACA or Regulations from the requirement to obtain a body armour permit, individuals wanting to possess body armour will be required to make an application to the Registrar of Security Services for a Body Armour Permit. This may include those wanting to possess body armour due to non-violent threats to personal safety related to a sport, hobby or occupation (e.g., sport shooting club members) or individuals with threats to their personal safety of an ongoing nature. Permit applicants will be required to provide personal information – including name, date of birth and contact information – and will be required to prove a reasonable need for the possession of body armour. In addition, applicants will have to undergo a criminal record check and pay a permit fee (fee estimates at this time are $90 for 5-year term and $45 for renewal). Once a risk assessment is performed on the applicant, a permit will be issued to the individual allowing them to purchase, wear or possess body armour. A permit holder must carry the permit when in possession of body armour and produce it upon request by a peace officer or inspector. There are a number of legitimate uses of body armour where it is required for protection in the course of one’s employment or job-related duties. Among those that will be exempt from the requirement to obtain a body armour permit are individuals employed by police and other enforcement agencies, armoured car guards, security guards, security consultants and private investigators. Proof of exemption will be required to be carried by these individuals when purchasing body armour or when in possession of body armour and will be linked to their security worker license, badge number, employee identification or verification document as applicable. Exemptions to requiring a permit will also be considered for those individuals who do not reside in British Columbia but require body armour during their stay (i.e., diplomats) and/or individuals with imminent threats to their personal safety. 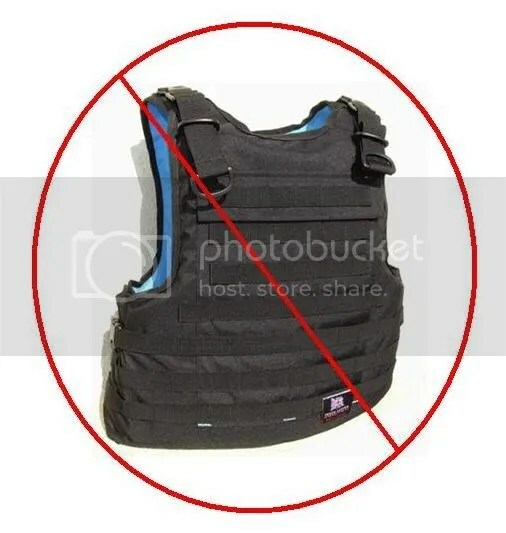 An individual in an exempt category must carry proof of exemption and produce it upon request by a peace officer or inspector when in possession of body armour. Businesses that sell body armour and their employees play an important role in ensuring that purchasers of body armour are authorized to do so. Businesses that sell body armour in British Columbia will be required to obtain a security business license under the Security Services Act to sell body armour, and employees of the business selling the body armour must obtain a security worker licence with licence type Body Armour Sales. Body Armour vendors will also be required to record information about body armour sales to show that sales are made only to people who are authorized to possess body armour. Let your lawmakers know that it is completely unacceptable for them to push through legislation without public input. Tell them that this Act is an abomination that infringes on your charter rights. It is a useless piece of legislation that will do nothing to improve public safety, it will reduce public respect for police officers who must enforce it, and it is nothing more than a blatant tax grab. Let them know that the voters will hold them accountable. This entry was posted in crime, politics, rights and tagged accountable, amend, armor, armour, assessment, BACA, bc, bill, bill 16-2009, body, body armour control act, british, canada, canadian, charter, columbia, committee, crime, criminal, enforcement, exempt, february 2010, feedback, first, framework, freedoms, gang, general, interested, justice, kash heed, law, legislation, legislative assembly, legislature, legitimate, licence, license, march 2010, National Institute of Justice, NIJ, october 2009, permit, police, proposed, provincial, public safety, reading, register, report, rights, royal assent, second, security, solicitor, stakeholders, sylvia montagnaro, tax, third, vancouver. Bookmark the permalink. I noticed that an RPAL is considered an exemption on the proposed Body Armour Ban in Alberta is it the same in B.C. as I am likely to be making my way there within a year, I do not currently own any body armour but wouldn’t be opposed to owning some just in case. We could at least petition the BC provincial government to amend the act to include so, mind you I imagine this will lose to a Charter Challenge before then. Hey Mike. Alberta’s BACA is much more lenient than BC’s – on the Wet Coast practically nobody can legally own body armour once this bill becomes law. The only people who are exempt are armoured car guards, private investigators, security consultants, security guards, and body armour salespeople. That doesn’t mean that Alberta’s law is any better though. Does anyone know if with Kash Heed’s resignation quite recently due to scandal whether this bill is going to get passed through or not. I do own a Class IIA (as a former security guard who got out of the business) and I like to keep my options open on whether to go back into security or not. This bill is going to turn me into a criminal if it gets passed through. I was wondering the same thing, Hugo. Unfortunately, I doubt that this bill will get scrapped. I think a lot of people will end up in the same boat as you.